California Officials Reviewing Autopsies Done By Doctor With Trail Of Errors : The Two-Way Dr. Thomas Gill's work is being re-examined in Solano and Yolo counties. During the past 20 years, he repeatedly resurrected his career despite autopsy errors in Indianapolis, Northern California and Kansas City, Mo. 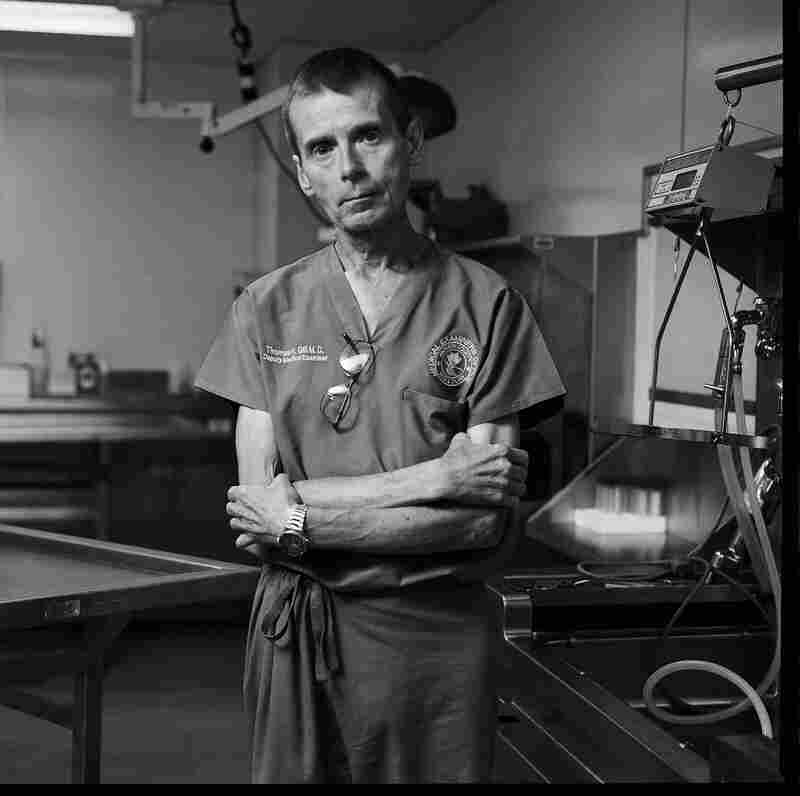 A few weeks ago we published a report about Thomas Gill, a California forensic pathologist with a 20-year history of errors and misdiagnosed causes of death. Dr. Thomas Gill at the Jackson County Medical Examiner's Office in Kansas City, Missouri in 2004. Now, in response to the reporting on Gill, the Solano County, Calif., sheriff and district attorney are reviewing 27 autopsies of homicide victims performed by Gill. In Yolo County, Calif., the sheriff is looking at five homicide cases and the county district attorney is probing all criminal cases that Gill may have worked on or testified in. The initial report by Ryan Gabrielson, a reporter at California Watch, was written as part of our Post Mortem series, an NPR News investigation in partnership with ProPublica, Frontline, and the Investigative Reporting Program at U.C. Berkley. The series exposed flaws and inconsistencies in death investigation across the U.S.
"We just want to make sure that what we presented was accurate," Sheriff Gary Stanton told Gabrielson of Gill's autopsy reports. "We want to make sure that we didn't withhold any information that should have gone to any defense attorney." Gill examined more than 300 deaths in Solano County from 2007 to 2009, financial records show. During the past 20 years, he repeatedly resurrected his career despite autopsy errors in Indianapolis, Northern California and Kansas City, Mo. Gabrielson reports that the California State Bar called the doctor "incompetent" in a 2006 report on a bungled homicide investigation in Sonoma County. Gill has previously declined to address specific cases or criticism of his work, but has said "I am a qualified forensic pathologist." Read more about this latest development at California Watch. Alicia Cypress is web editor for NPR News Investigations.